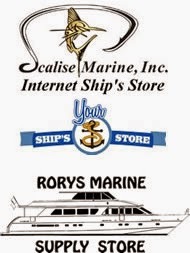 Scalise Marine has joined the ranks of YourShipStore.com. With the recent merging of Rorys Marine Supply and now Scalise Marine, Your Ship’s Store is poised to become bigger and better than ever, providing the optimal shipping experience for our customers. With the one store concept, our updates and new items can be added in a third of the time it took us to update three sites and finding customer information / sales history will become much quicker. We are excited to get back to basics, being our own competition online was fun while it lasted but it took away much of our focus to bring you, our customer, the attention you desired for the marine supplies you need.